Happy Friday friends! It's been a busy week here with 4 events after work (including one tonight) & it's there's no denying that the holidays are in full swing!! 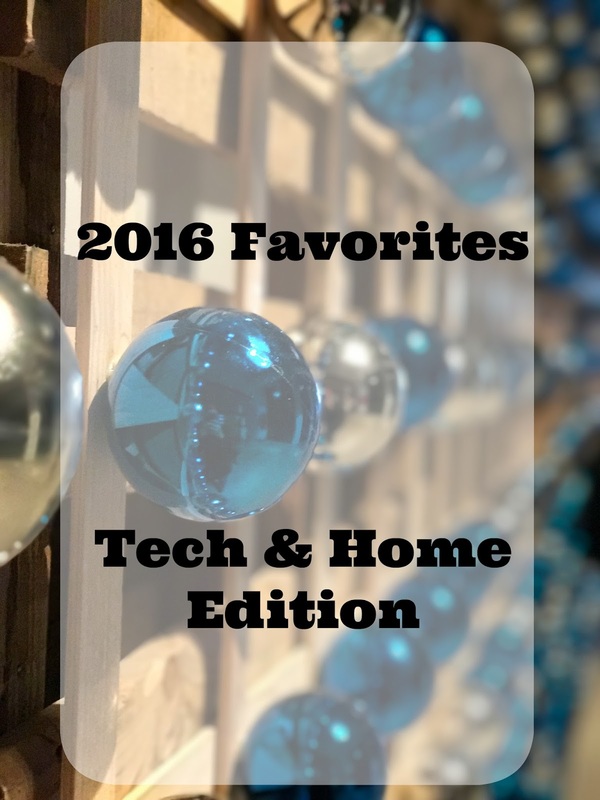 I thought I'd continue my Favorites from 2016 series with Tech & Home items I loved this year! 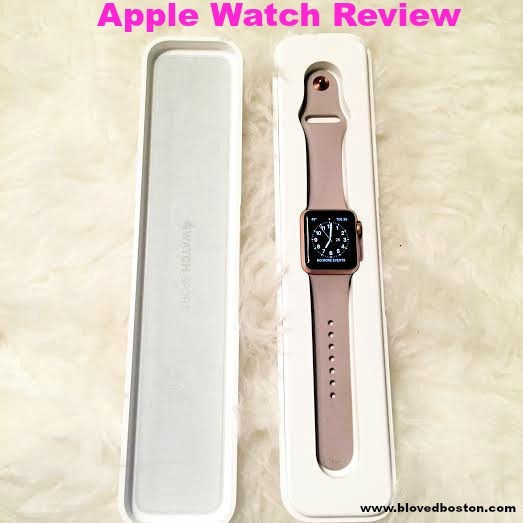 Apple Watch || I did a review of the apple watch after about a month of use and here we are almost an entire year later and I'm quite possibly more in love with it than I was when I first got it. All of my initial "loves" about the watch are still there, plus a few more - like the functionality of being able to answer a call on my wrist while I'm cooking or the fact that it tells me to breathe when it "senses" I'm a little stressed out - from my heart beat. I never once felt like it wasn't dressy enough and I seriously love that I can change out the bands to match whatever the occasion calls for. I still get all my bands on amazon and that won't be changing any time soon. If this is on your wishlist this holiday season - don't hesitate - it's so much more than just a watch that tells time! 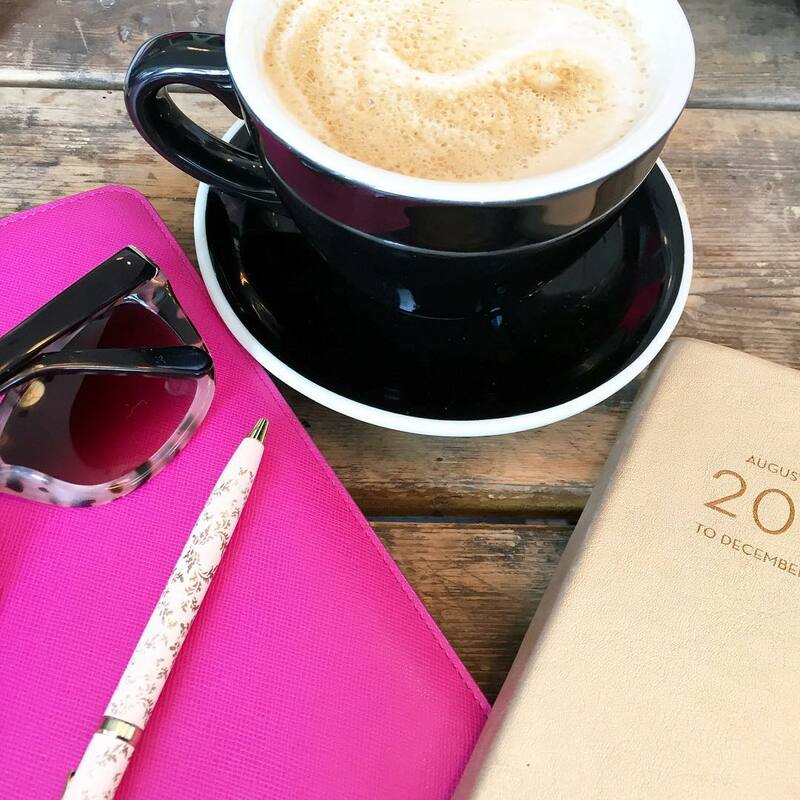 FocalMark || I was introduced to this app after reading an article about hashtags & instagram - doesn't everyone read about hashtags?! If you like to # then this is the app for you! You pick the category that your picture fits into - let's say a cityscape, then you pick the city that you're living in & boom your hashtags appear and you can choose to use them all or copy just a few over. You can also have a mixed category - meaning more than one category - so cityscape & travel in Boston...it's so easy to use! It doesn't have everything, but you can always use it to learn a few new hashtags you haven't used before! JBL Pulse || After about 6 months of use, the JBL Pulse is still one of the best purchases of this year! We use it almost every single day - while we're cooking, cleaning & a lot of the time just when we want some light music in the background! It holds a charge for a really long time & we actually brought it to Florida to use for my grandmother's 90th birthday to stream the audio from my computer for the slideshow. Portable, light & easy to use - that's tech I can get behind! With our move in September we added a few new things to the space - actually it was more Gary than me since he is constantly striving to make everything more efficient. Lift Top Table || I first mentioned the idea of the lift top table in the "we're moving" post and after 3.5 months of use, this was a super practical & well used purchase! Not only do we use it's functionality every day, but it also gives us a bit more storage, which I can always use. I'll admit building it was no easy feat, but 2 hours and a few curse words later (not at each other 😊) we had ourselves a coffee table! USB Outlet || I'm sure you all can relate to this, but we have a lot of things that we charge that require USB ports and sometimes there just aren't enough! Gary decided to switch out the outlets in our kitchen island to be USB compatible. This tiny little change - I'll admit I have zero clue how long it took him to switch it out - but assume not that long - is the best! We always have something charging! Ikea Shoe Organizer || As painful as this shoe organizer was to put together, for Gary that is - it's one of my favorite pieces in our place! We have in our entryway with a catchall for our keys & some candles to dress it up & I hung a mirror above because it was missing something above! I also like that the top drawer is sort of a junk drawer with pens, candle lighter & notepads - we don't have a junk drawer in our kitchen so this is a nice addition. Have you tried any fun new apps this year? Any great home purchases? That lift table top is such a good idea! I always need more storage! And that shoe organizer too, I have a few ones in my closet, but I always need more pieces to put shoes on. Too many shoes lol Happy Friday girl, have a great weekend! 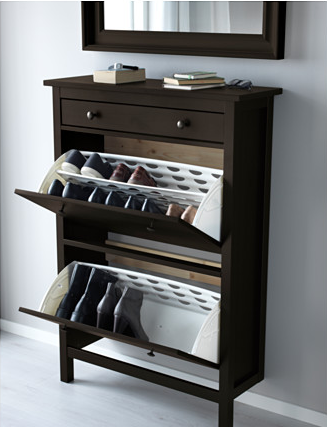 I love that ikea shoe organizer - hoping to have a spot for one next time I move! IKEA nailed it, super cool! My husband and son LOVE their Apple Watches. I may need one!! Have sooooo much fun at your party!! Can't wait to hear about it in your Monday recap!! I'm loving these favourites posts!! I am coveting that Apple Watch and that USB plug?? Genius! I have thinking about getting the JBL Pulse for my hubby!! I've heard so many great things. These are all great picks! Have fun at the party! That lift top table is such a great idea and I could use a few of those shoe organizers! Enjoy your weekend! I love my Apple Watch! And I NEED that shoe organizer! Have fun at your party! It sounds like you have a really fun weekend ahead of you. Stay safe and warm! Tech tools are so fun, especially when you can integrate them with your home. 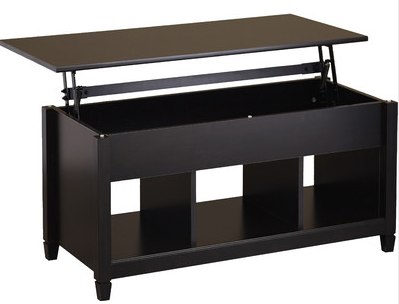 The lift top table looks very cool. My parents built a new house last year and they have these USB ports all over their house and I'm so jealous! My cousin said he would switch ours out for us, but I think I will just wait for the next house. It's so true, almost all technology is charged that way -- what a fabulous invention! Have a great weekend, Biana! USB ports are such a good idea! I've been wanting the Apple Watch, so good to hear that you're still loving it! Changing out the outlets to be USB compatible is genius! My hubby needs to do that in our kitchen! And we have a similar shoe cabinet and love it! I LOVE the idea of adding USB ports around the house! I'm going to have to show Steven because I didn't even know that was a thing! Also LOVE that shoe organizer--very Carrie Bradshaw! My husband would probably love to change out our entry table for a shoe storage thing since he's always on me about leaving my shoes in the entryway lol. The outlets with a USB port included are the best! It makes life a little more convenient and who doesn't enjoy that? Happy Friday! These are all great suggestions! Just downloaded Focal Mark and can't wait to try it out. We installed some USB outlets during out kitchen rennovation this summer and I agree - it helps SO much! I think this needs to become a more common thing! You've got some pretty fun and cool products here, girlie! I want to get two items you've mentioned, the JBL Pulse and the Ikea Shoe Organizer! We had these "speakers" that we would place our iPhones on top of and it would stream the music from there, but it wasn't the best quality, so we stopped using it, this one seems perfect and I love that it lights up, too, for a fun ambiance. We have a shoe rack right at our front door, but the one you've shared here looks much nicer and does it fold in the shoes?! If so, that's pretty cool! Thanks so much for sharing, beauty, and I hope you have the best weekend ahead! Love that watch! The band is so pretty and feminine! Ohhhhh I need that shoe organizer!!! Marks shoes always trip me in the morning and how smart is that hashtag app?!?!? Definitely downloading that one right now. Derek has that same speaker and we use it all the time!! That's such a good idea to switch out the outlets - I'm going to ask Derek to do that in the new house! 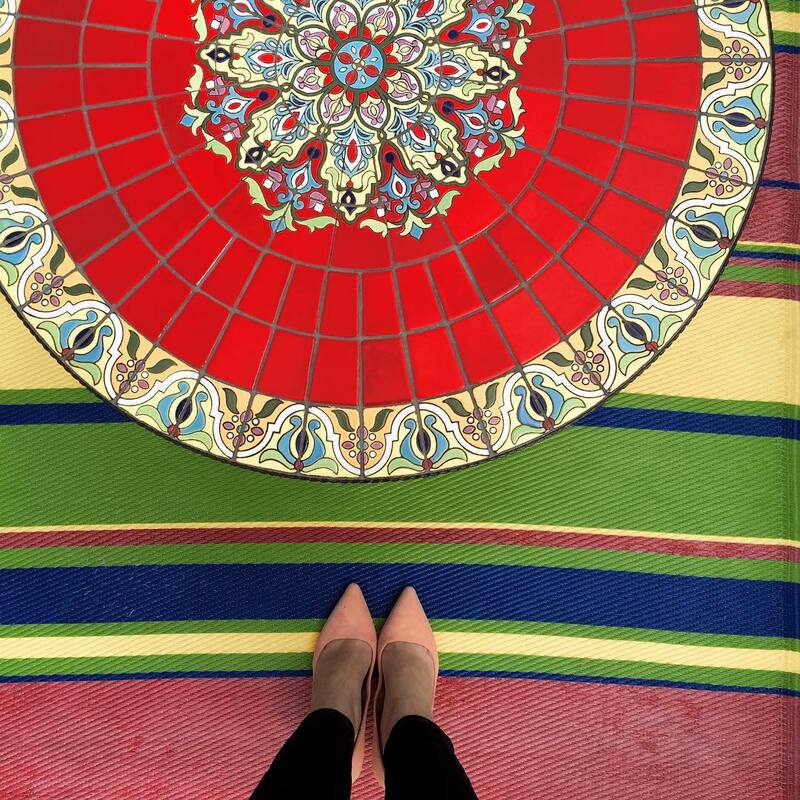 That coffee table looks like something I need in my home! I'm always looking for storage for my little one's toys! I love the lift top table! And that shoe organizer would be so perfect for my house..Chris has to leave his shoes at the door (because hospital germs, ew) and right now they're just in a giant pile! Gonna download that app ASAP! I love hashtagging...and well it's kind of a must if you want to get noticed. Loving all of your home finds, so neat and functional! Hope you have a great weekend, B! 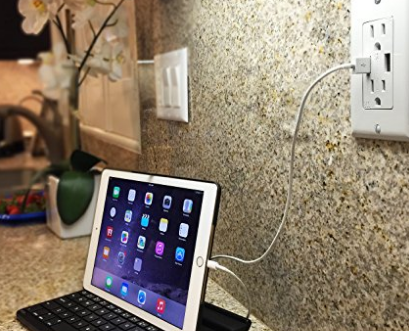 We have the USB outlets like that in our kitchen and LOVE it!! An apple watch is definitely on my wish list :) I'm going to have to check out that hashtag app! That shoe organizer is amazing!!!!! I think every house being built now will have to have the USB outlets. Genius! what a great list! i totally just downloaded focal mark bc i need that! and that table is so perfect. i'm always looking for stuff with extra storage being in an apartment :) happy friday! The USB outlet would be a game changer- such a good idea! Renard is getting an apple watch for Christmas & he's so excited! What! A USB outlet?? That is so brilliant... I'm going to tell my husband to switch ours out for those! Thanks for sharing. Have a great weekend! Definitely need to check out FocalMark - I've never heard of it, but it sounds incredibly useful. IKEA for the win again - that shoe organizer looks so nice! Oh the Apple Watch... every single day I'm thinking more and more that I need one. And they are SO pretty! I want an iwatch series 2 so badly. It is on my Christmas list. I also want that Ikea shoe organizer, but I cringe at putting it together. Ugh. These items are such a great gift inspo! It's so shocking 2016 is almost done!! These would be great gifts! FocalMark downloading...now! Have a great weekend! I love the lifttop table! We have an ottoman, and I keep thinking how nice it would be if it was a flatter surface! This list is awesome! I want everything on it except the watch, which your review helped me get!! I've never heard of the JBL Pulse but that would make a great gift. USB outlets are the way to go! I love when hotels and even restaurants have them for convenience. Both pieces of furniture look like great storage savers so win win. have a happy weekend! For events after work?! I'd be exhausted. What a fun post. I have wondered about getting an Apple Watch. Sounds like you love yours. And how cool is that shoe organizer?! I am so intrigued by the hash tag thing! I have NEVER heard of that! Do you notice a lot more traffic on posts from it? USB outlets! So much yes! I also love my bluetooth speaker. Got to have tunes on-the-go!! That Apple watch sounds like a dream!! I didn't know it did all of that! Love this! The apple watch sounds so amazing and we are actually replacing all of our outlets and we are putting USB ones in the kitchen I am so excited haha! Ahh the Apple watch, so fabulous. What a great idea to change the switches for USB compatible ones, thanks! That app seems like something that I definitely need in my life! It sounds really helpful. That coffee table would be very functional in my home as well since I find myself eating in the living room in front of the TV and blogging from the couch all the time. I have a JBL speaker but not quite like that one. I had that JBL pulse in my cart forever...probably should have snagged it but I settled on an amazon tap instead. Thanks for sharing this focalmark app..fun! JBL makes a good little speaker!! I wanted one of these until we got the Echo but since Alexa plays music too...it's one less thing sitting out haha. But I was drawn to the pretty lights, I won't lie. I need to check out that # app. Hope you have a great weekend!